Life is good in no small part to our active duty, veterans and fallen soldiers. I sincerely thank all of you! I'm not a big country music fan, but I love the song American Soldier by Toby Keith. Check it out. Life is good when you have good friends. I'm very fortunate in that regard. I have good friends at work, the neighborhood, from high school, from college, online, etc. My college roommate came to town Friday and we got together at our friend Scott's house and played some poker. We had a blast! I haven't laughed that hard in a while. Sunday night my neighbor across the street had a fish fry. We had a good turn out and awesome food as always. The week after next I go on my yearly fishing trip with a buddy from college. Life is good. 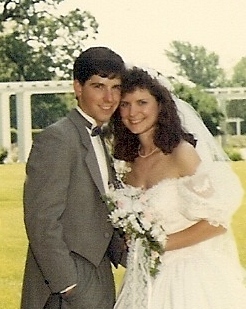 Life is good when you celebrate 23 years of being married to your high school sweetheart and are still in love. I'm a lucky guy and would marry Cheryl all over again. She is a great wife, wonderful mother, all around nice person, and very supportive. Life is good. Life is good when you are in the best shape of your life. My training volume has been down a bit since NOLA, but I'm about to sign up for another HIM this fall so that should bring the volume back up. I did a couple sweat tests this weekend. For my ride Sunday it was 90 degrees and very breezy. My starting weight was 160 and after two hours on the bike I was at 156.5. I drank 34 ounces of fluid which I rounded to 32 ounces to make the math easy. One pound = 16 ounces so I drank 2 pounds of fluid for a total of 5.5 pounds of sweat lost in 2 hours which is 2.75 pounds or 44 ounces/hour. For my run Monday, it was 86 degrees and humid (felt like 91). 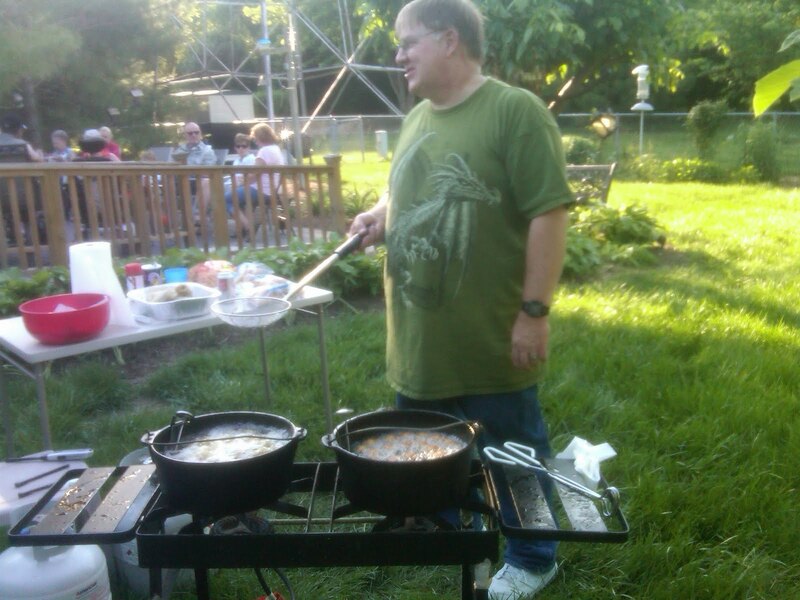 My starting weight was 161 (thanks to the salt from the fish fry) and my ending weight after an hour run was 156.0. I took in 8 ounces of water for a total of 5.5 pounds of sweat lost in an hour which is 88 ounces/hour. I guess I'm a heavy sweater. Life is good (but short). Get out there and live it! Amen! Thanks to America's heroes and let's all enjoy to the max the freedoms their sacrifices keep alive. Great post! Love that wedding picture. Life IS good. I ditto you about the best shape of my life. Not my thinnest, but my fittest. Sounds like you have some great friends and neighbors...I'm quite sure they'd say the same about you. What a beautiful bride and groom you two were!! I'm a sweater, too...but I've never weighed myself before and after - that would be interesting. Ditto! Life really is wonderful. Awww...what a sweet post! And I love the wedding picture! Life is indeed good, Mike! I'm a heavy sweater as well and fear my numbers would be similar to yours. I have yet to measure it yet as my only scale is the super-cheap, frequently in need of calibration, spring-loaded kind. LOVE this:) Good post Mike. Made me smile. And I like your wedding picture:) So wonderful!! !